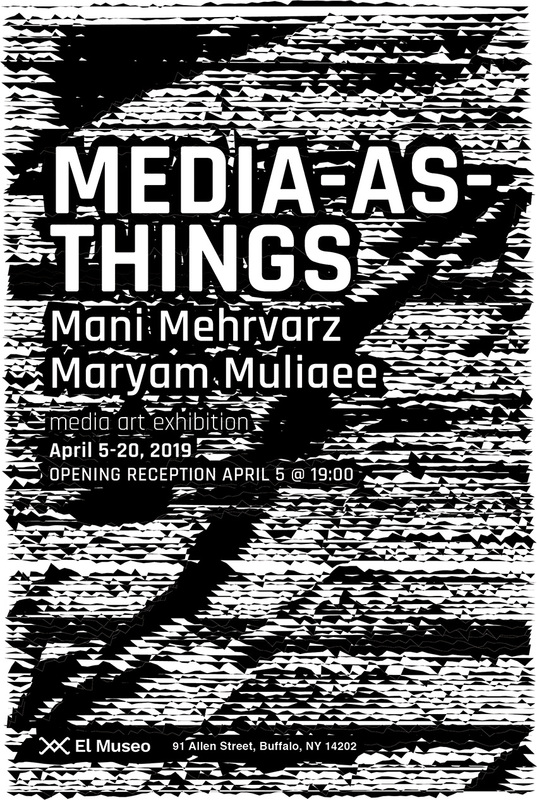 MEDIA-AS-THINGS: media art exhibition in El Museo gallery April 5-20, 2019. Mani Mehrvarz and Maryam Muliaee, PhD candidates and instructor in the Department of Media Study are presenting new pieces following their current research and practice in media archaeology, digital materiality and failure. The opening reception will be from 7:00 pm – 9:00 pm on April 5th. Presentation at SMRN workshop on 20 Feb 2019 Squeaky Wheel Film and Media Arts Center, Buffalo, New York. Advanced ticketing will be live on the website, buffalofilm.org on/about August 29, 2018. Standby tickets will go on sale 30-minutes prior to showtime. 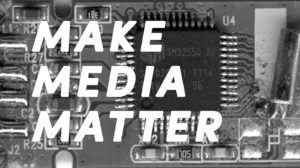 MAKE.MEDIA.MATTER is an exhibition of media art, following the material turn in media studies and art practice. Presenting works ranging from video and media installations to web and machine learning, the exhibition explores the relationship between human and machine and their respective constitutions as entangled agencies. Thoughtfully, each work, either individually or in relation to the others in the exhibition, challenges the distinctions between the old and new media with a focus on the materiality of media. Through the course of realization of these projects, the participating artists examined the vast potential of media materiality embodied within video glitch, signal transmission, codes, magnetic storage, and information technology. Artists include Maryam Muliaee, Scott Fitzgerald, Mani Mehrvarz, Kalpana Subramanian, Leonardo Aranda Brito, Anthony Yanick, and Annette Daniels Taylor. This exhibition is curated by Mani Mehrvarz, organized by UB Art Galleries and supported by the Department of Media Study SUNY at Buffalo.